The game of Monopoly needs no introduction. Families have been playing it together for well over half a century. 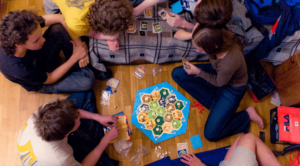 According to the Guinness Book of World Records, more than 500 million people worldwide have played the game, making it the most successfully commercially released board game on the planet. Quite understandably, there have also been several video game adaptations of Monopoly over the years. These have been of varying quality. 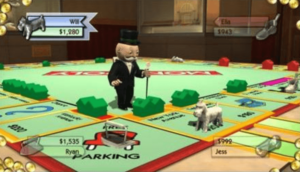 Monopoly hit the Wii in 2008, thanks to the folks at Electronic Arts. So how does this version stack up against previous software versions of the game? Immensely well, as a matter of fact. There are two main modes of play in Wii Monopoly. First, there is the standard board game we all know and love. The game only supports four players at a time, as opposed to eight for the board game itself, but on the plus side, there are plenty of boards to play on. You start out with just the Classic Board and the World Board, but over time you can unlock themed ones, including a Future Board, a Jungle Board, an Ice Board and even a Cheese Board. 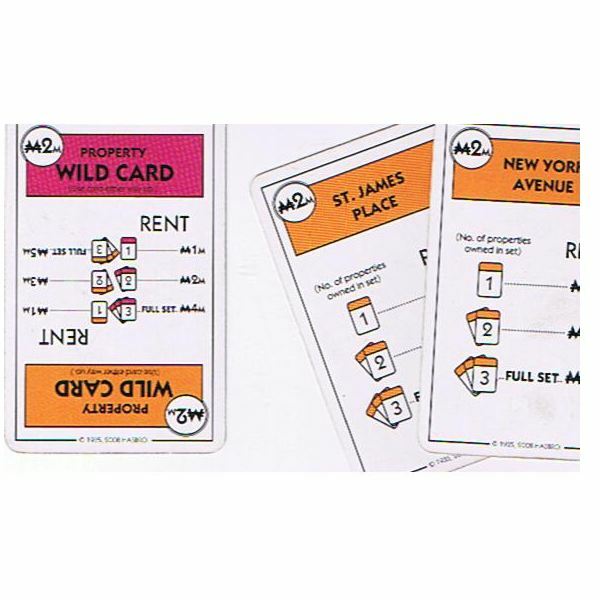 They're neat, but I must admit I'm a little disappointed they weren't able to include any of the more popular licensed versions of Monopoly for use in the game (Star Wars or A Christmas Story, anyone?). Furthermore, you can alter the rules to fit your play style, allowing you to increase everyone's starting cash, alter the amount of time a player can spend in jail, deal out properties at the beginning of the game, and set a turn limit. Good stuff! 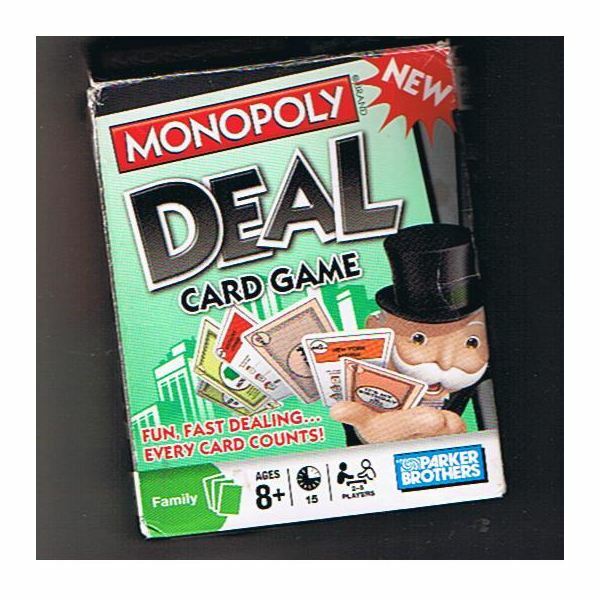 The second primary mode of play is a variation on the whole Monopoly concept known as Richest Mode. In this, players compete in Mario Party style minigames in order to try to secure properties. At the start of each round, the computer rolls four dice – one for each player. Then the winner of the minigame gets to choose which of the dice he or she wants, and for each number on the die, that player gets to have one of their tokens playing on a property. If no one owns the property, then that player gets to keep it. If someone else already owns it, he or she has to forfeit one of more of their own properties to that opponent. There is no cash in this mode, and the winner is whoever ends the game owning the highest net value in terms of property. It's a unique twist on the game's standard formula, but it really isn't all that thrilling on the whole. The minigames can also be accessed separately, from the main menu – but I can't see why anyone would bother. They aren't anything special, and while they add variety to the game-play, it's definitely a good thing that they're not the main attraction here. The controls, as one might expect, are simple and easy to use- at least for the traditional game. To roll your dice, you shake the remote and hit the A button. Pretty much everything else in this mode is done by pointing and clicking, as with a mouse. The minigames featured in the Richest Mode each make different uses of the Wii's motion controls. Everything is exceptionally responsive, although opportunities for interaction are somewhat limited. While Monopoly for Wii isn't exactly a game that features cutting edge graphics, it is fairly impressive nonetheless. When you roll the dice or go to manage your properties, the board is presented from an overhead perspective, but after you start your turn, the action zooms in and moves a vertical view of your playing token making its way around the board. There are some other neat effects as well, like the cage that slams down over a piece that is sent to jail or the fireworks that go off when you win. Additionally the game features quality narration from old Uncle Pennybags himself, and fortunately he has enough lines that repetition isn't a big problem. The background music is enjoyable and jazzy, and I can't say I ever grew tired of it during any of the times I played. This is an impressive, fun, and easy to pick up and play video game edition of Monopoly. 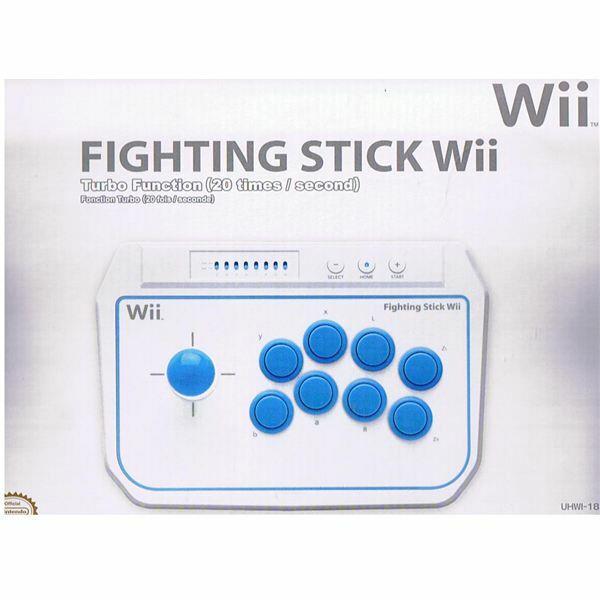 Since it uses the Wiimote, you won't have to pick up a fancy joystick to play. Graphically there is nothing that will wow you, but there are plenty of boards to choose from and plenty of ways to customize the game to your individual tastes. It manages to combine the convenience, easy set-up and quicker play of past video game translations with the family gathering atmosphere of actually playing the physical Monopoly board game, making it the best of both worlds. Plus on those rare occasions you get bored with the standard board game, you can always give Richest Mode a whirl. The only things missing, really, are licensed boards and online play. Maybe next time, Electronic Arts?